Get inspired! Trianna Oglivie, Community Education Specialist for Desert Schools Federal Credit Union in Phoenix, AZ, shares how the organization has been using the MoneyWi$e modules. Community development at Desert Schools means staying true to our core value of people helping people. We believe that community development happens by supporting education, improving community access to responsible financial services, and promoting the understanding of important financial concepts. At Desert Schools, we feel our commitment to the well-being of the community is not only a responsibility, but also a fundamental element to every aspect of our service. The goal of the Desert Schools Financial Literacy Program is to meet the financial literacy needs of community members by providing them with a variety of ways to obtain pertinent financial literacy information. Personal money management knowledge improves the current and future financial life for individuals and their families, thereby creating a more stable, healthy community. Our program focuses on providing important financial concepts to our general membership, the public at large, and specifically to underserved, unbanked, and low-income communities. We partner with non-profits and school districts to provide activities, workshops, and financial support to classrooms from 5th to 12th grade, and parent/family education programs. In addition to in-person workshops, we provide financial literacy information to our membership and the general public through our website, branches, newsletters, and general operations. General membership, general public, families, underserved public, unbanked public, low-income public, and immigrant population. What specific materials are you utilizing? For more information about these modules visit the MoneyWi$e website. How have you been able to integrate Consumer Action’s free financial literacy information into your work? At Desert Schools Federal Credit Union, we are committed to financial advocacy. As a responsible financial institution, it is our goal to provide products, services, and information that positively impact the individuals and families that we serve. Financial literacy is of utmost importance as we seek to improve the communities in which we operate. After reviewing the adult financial literacy programs from a myriad of sources and attending seminars and workshops, we came across the MoneyWi$e Program with great enthusiasm. Not only are the materials concise, they also effectively reach out to the adult audiences we target. The format is easy to use, providing adequate opportunity for the trainer and the class participants to exchange ideas and facilitate the creation of a learning community. With these pillars as our guide, we have been able to incorporate the modules above and their participatory activities in our workshops. The activities in MoneyWi$e provide financial literacy practitioners with excellent workshop suggestions, including questions to ask, formats to follow, financial simulations (e.g. check writing), and case studies that encourage participants to look beyond their current circumstances and focus on preparing for a better future. What specific activities, workshops, trainings, etc. did you do? A specific activity that we incorporate in our program is the usage of case studies. The case studies that are provided in the modules are a great way to promote participation and allow individuals to evaluate someone else’s financial life. Participants absolutely love this activity! It is much easier to look at a case study and identify ways that the fictitious (or not so fictitious) individual can save money and accomplish their goals. With this information, participants are able to evaluate their own life and own spending habits after the class. Where can I save money? What are my most basic needs? What items can I eliminate from my spending in order to achieve my goal of having a down payment for my first home or vehicle? These are all questions that lead to a greater understanding of using money as a resource to accomplish life goals. How did you get your audience motivated to learn about financial literacy? Let’s face it. It’s difficult to motivate individuals to attend a financial literacy seminar. Financial literacy seminars are competing with valuable family time, evening television, rest and relaxation, and more. As this being the first year of our program, we learned that we need to provide financial literacy information in a very concise way that meets the time and location needs of the audiences we are targeting. The best way we found to do this is to partner with non-profits and school districts. We participate in non-profit and educational programming that already exists and are very mindful of the participants’ valuable time by limiting the workshop to 1-1.5 hours. In these workshops, as is encouraged by the MoneyWi$e Program, we share our personal stories, our challenges, and our successes. In this way, we are able to become a part of the learning community and not just lecturers. By creating this atmosphere of trust and understanding, more individuals ask questions and share their own advice. Another great feature of the MoneyWi$e Program is the flexibility and the base of topics from which you have at your fingertips online. After our initial workshop on basic money management, we offer a menu of classes. If the program allows for the time and the participants are interested, we are invited back for another session. This has proven to be successful because there is no multiple-workshop commitment on the part of the program participants. The topics and classes are designed with their needs in mind. What were the results of your program? 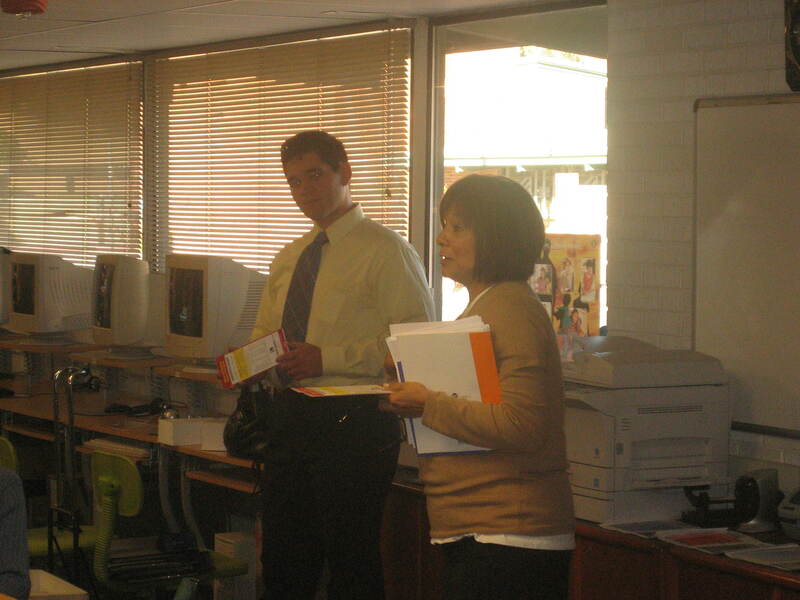 Through our adult financial literacy workshops, we were able to reach close to 1,000 consumers in 2007. 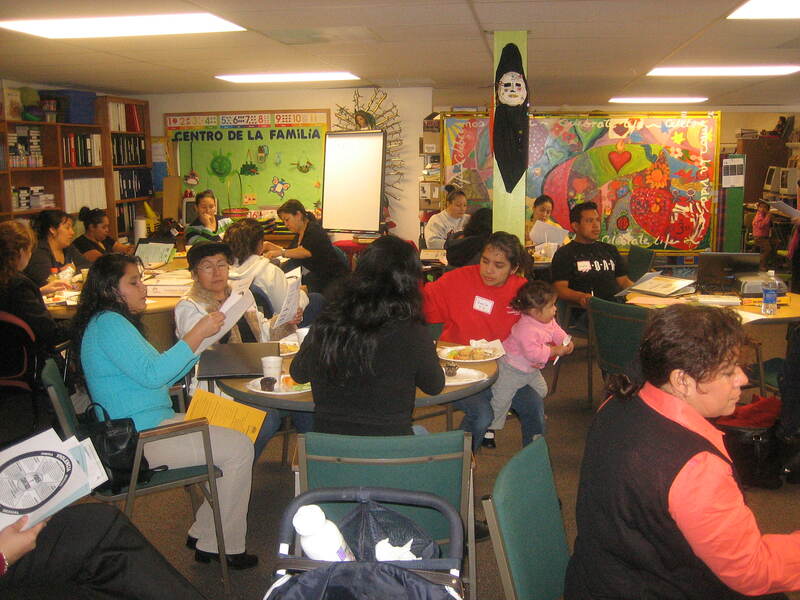 We formed partnerships with over 15 elementary school parent groups and enriched our partnerships with over 20 non-profits. The MoneyWi$e Program, and Consumer Action in general, has been an excellent, strategic resource as we have journeyed through the creation of our financial literacy program. The best practice that we can share with you regarding financial literacy effectiveness and the MoneyWi$e approach is the simplicity factor. Financial literacy, personal money management, understanding how to spend your money – it does not have to or need to be complicated. It is the knowledge of setting goals and looking towards the future with hope, and then planning for the success of your future by using the resources you have at hand. An understanding of fundamentals – focusing on your goals, creating a plan to achieve them, and then daily bringing awareness to how, when, and why to utilize and take advantage of the resources and opportunities available – and implementing the fundamentals is ultimately what the MoneyWi$e Program strives for and what we at Desert Schools aim to support and facilitate in communities. In our workshops, we hear from families that want to buy homes, want to save for their children’s education, and want to know how to take control of their finances instead of their finances controlling them. In a recent class, we discussed the importance of tracking your spending and how we often do not realize the amount of money we are wasting everyday. At the next class, a mother raised her hand to share how she had completed the activity of tracking her spending for one week. She was astounded at the amount of money she daily spent without even recognizing it. She made a pact with herself and her family to create a spending plan and start spending more consciously, so that her family would be able to pay their bills on time and save up for a family vacation. This experience, or anytime we see this kind of shift in one’s perception of money, is a win not only for the family, but the community as a whole. This woman became a financial advocate, and now tells her friends and relatives to track their spending too! We personally would like to thank Consumer Action for their support of financial literacy. Time and time again we hear the adage that knowledge is power, and this program is an example of just that. With the information available on their website and through programs like MoneyWi$e, Consumer Action is empowering the community and creating financial advocates all over the United States. Desert Schools is proud to be a partner with this incredible organization! To learn more about Desert Schools Federal Credit Union click here.